There’s something sleek and cool about European license plates. Maybe they conjure up memories of James Bond movies or that once-in-a lifetime vacation traveling around London. There’s no doubt that there’s a strong connection between Europe and the United States that goes back generations. We rely on each other for trade, defense, and tourism. Some people choose to have fun with that connection and get a European license plate. Are they legal to have on your car? Read on to find out. Why Use European License Plates on Your Car? There’s no right or wrong answer to this question. There are as many different reasons to this question as there are European license plates around outside of Europe. Have you ever seen a European license plate in a parking lot in the U.S.? They’re not very common, but they can be seen on occasion. They certainly draw attention to the car, and that’s one reason why people get them. Maybe you have a sweet new Audi R8 and want to pay homage to the carmaker’s roots in Germany. People have served in the military in Europe and enjoyed their time there. You could be a dual citizen of a European country and want to honor your second country. Having a European license plate is a very personal choice. It can have a very deep meaning. Can You Use European License Plates Outside of Europe? Technically, you can do whatever you want. You can have European license plates on your car. Will that render your car illegal? Probably. The legal requirements of using European license plates will depend on where you are. In the U.S. and Canada different states and provinces have different regulations regarding license plates. Some states and provinces require that you have official license plates on the front and back of your vehicle. Others mandate that you have official license plates in the rear of your vehicle. If you live in a state where you only need to have a rear license plate, you can put European license plates in the front of your car. Where are the states that only require rear license plates? In the U.S., if you live in these states, you’re cleared to have European license plates on the front of your car. Don’t see your state or province on the list? You’re out of luck. Your state requires front and rear license plates, which means that you can’t have a European plate on your car. You could still get one and have on display somewhere. Which European License Plates Will You Get? One of the most interesting things about driving around Europe is that you can immediately identify which country someone is from. It’s similar as license plates identifying a state that someone is from. The European Union standardized its license plates in 1998, which was brought by the Council Regulation (EC) No 2411/98. The design was standardized to include a blue section at the left and side with the European Union flag. Underneath that, one to three letters underneath would signify the country where the car is registered. For example, E would mean the car is from Spain. GB would signify Great Britain, GBZ would be Gibraltar. The standard European plates can tell you a lot. The numbering system will vary depending on where the vehicle is from. They can identify where the car was registered and when along with a set of random numbers to identify the car. In some places such as the UK, you do have the option to get private license plates. These plates are custom European plates which can protect your privacy and make your car unique. Take a look at this website to find out more. Will Brexit Impact European License Plates? The big question around the UK is whether or not UK drivers will have to replace their license plates. Once Brexit becomes official, the UK is no longer a part of Europe. With everything surrounding Brexit up in the air, there isn’t a clear answer. What is clear that if there’s a no-deal, you will need to show that your car is based in Great Britain. You’ll have to add a GB sticker to your car even if your car has a Euro flag and GB sign. If there’s a deal before March 29, you can bet the regulations will change. You’ll want to stay up to date on the changes and how your vehicle will be impacted. Refer to the UK’s Department of Transportation for the latest information. 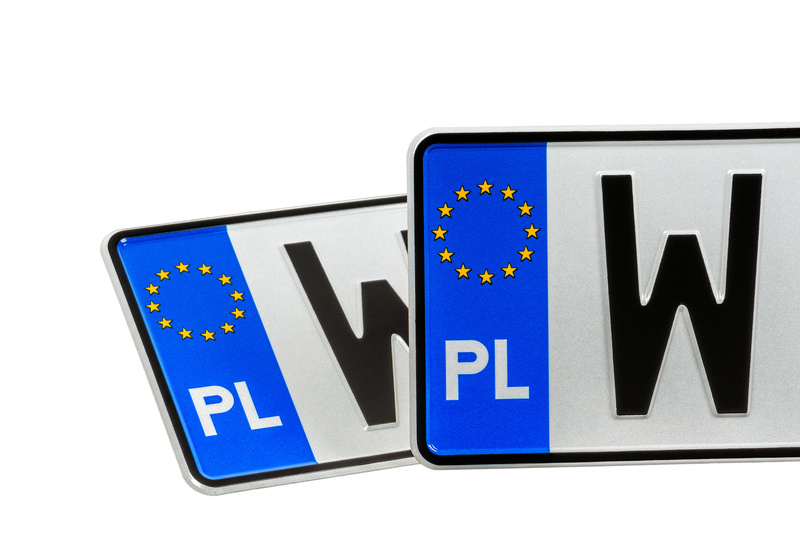 There are countless reasons why you might want to get European license plates for your car. Whatever your reason may be, you want to be sure that you can do it legally. Some states require that you have official plates on the rear of your car. If you live in one of these places, you can legally have European plates on the front of your car. Once you have your European plates on your car, you can do a photo shoot to make it look exactly like a sleek car commercial.